Sharing knowledge was at the heart of Guru Gobind Singh’s scholarly mission. In 1706, he founded ‘Guru ki Kashi’ (the Guru’s Kashi), a centre of learning in Punjab, to instill in his followers a thirst for knowledge. The tenth Sikh Guru drew inspiration from the Indian city of Varanasi (Benares), which in classical literature and scripture is referred to poetically as Kashi―the ‘luminous’―an allusion to the city‘s historical status as an ancient and renowned centre of learning, literature and culture. Exactly three centuries after the Guru’s Kashi was founded, Kashi House was established to bring about a renaissance in the awe-inspiring history, traditions and teachings of the Sikhs. 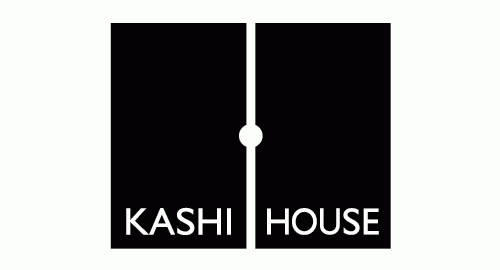 The Kashi House logo needed to do several things at once: it needed to visually express this historical backdrop; it needed to be representative of literary work; it needed to be modern in look and feel and as a practical measure, it also needed to be visible at a range of sizes. After a number of different attempts, it was finalised in the form above. Each rectangle is sized to a 3:8 ratio (an approximation of the golden ratio), which has often been employed in classical book design. The two blocks together represent the left and right pages of an open book and the circle in the centre represents the light (of illumination) shining through the narrow gap (in our ignorant minds) created by the two pages (of scholarly learning). This photograph was taken in my back garden and it illustrates this refraction effect, seen when light pierces through such a narrow gap.